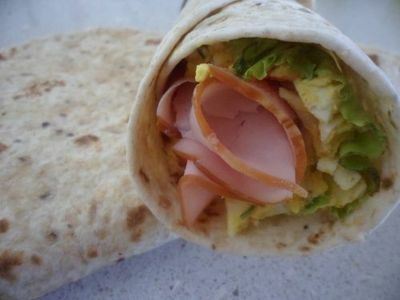 A wrap with a difference, this wrap is great for changing things up in daily lunchboxes with some different flavours. This wrap is creamy and delicious, with a mild curry flavour. Makes: 1 serving, but easy to scale up to make more at once. 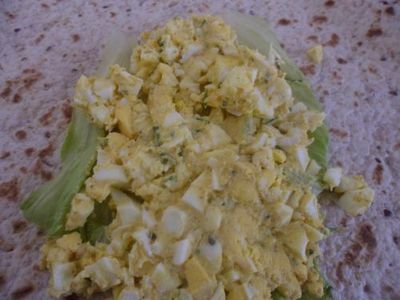 Hard-boil the egg while making the wrap, or use an egg which you have hard-boiled in advance. 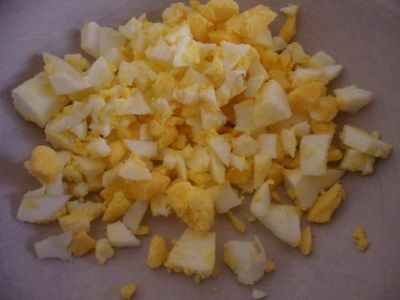 Peel and wash the egg, then use a sharp knife to roughly chop it up. 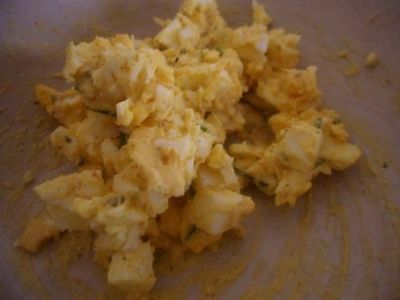 Add the mayonnaise and curry powder to the chopped eggs and mix well to combine. For an even milder flavour, only use half as much curry powder, or add additional curry powder gradually, tasting after additions, until the eggs reach your desired flavour. Add the chives and coriander and stir through. Lay out a wrap. Spread a layer of lettuce in the bottom right hand quarter. 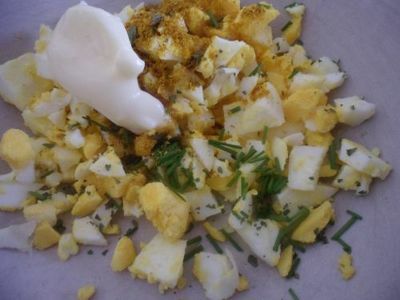 Spoon the egg mixture over the lettuce. Add a layer of shaved ham. 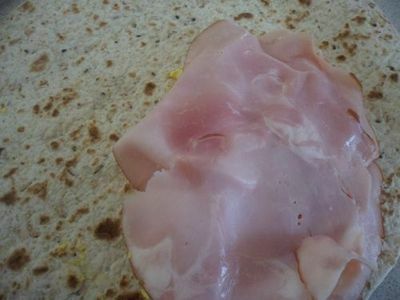 Fold the bottom of the wrap up to form the bottom of the finished wrap, then roll the short edge over the ham and from one side to the other. Place the wrap in an airtight container, or wrap it tightly in plastic wrap to pack into a lunch box.